This evening Koa performed with his middle school band in the Winter Concert. 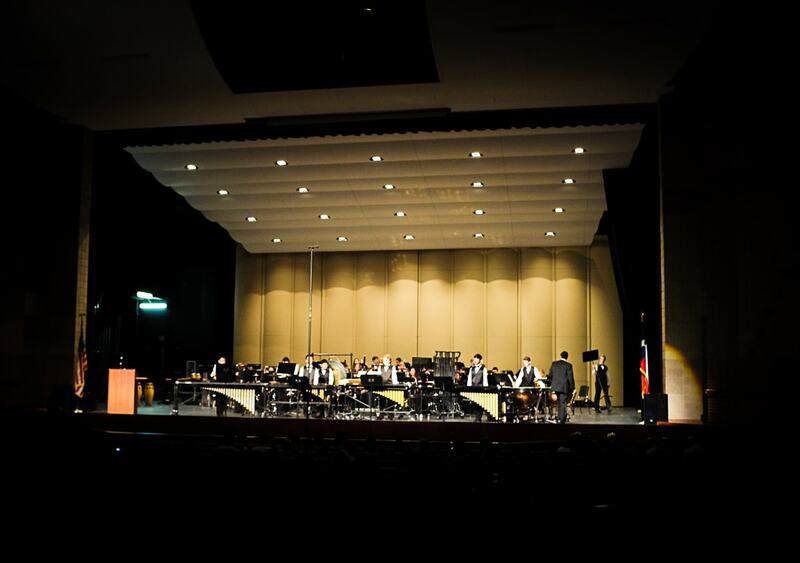  It was pretty cool because the percussion section had an ensemble performance, and they were awesome! 論 I have to say that the percussion section is the most interesting of all the band sections. I guess it’s just the nature of the instruments that you can see the mallets and movement and standing percussionists, as opposed to the brass and woodwind sections which are seated and you can’t really see the finer detail of finger movements.